On Friday 11 March, 2011, a massive earthquake and tsunami hit Sendai, Honshu, Japan. Many have lost their lives, and still many kidney patients are dying because of dialysis problems. This is attributed to lack of water, no electricity, roads blocked by debris, and no available hospital or clinic to where the tsunami struck. When kidneys are having trouble, mostly, patients including doctors hurry to undergo dialysis. The kidneys main function is to filter waste products (especially urea that is produced by metabolism) from the blood and secrete them as urine. Yes, kidney is an important organ to maintain the normal functions of the body. However, dialysis will be required when your kidney functions drops very low and can no longer perform its function. 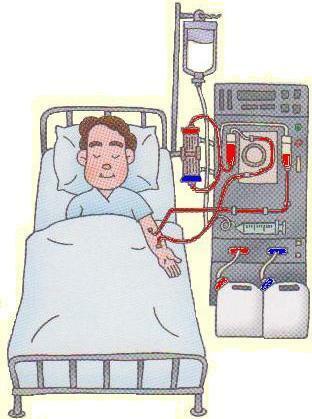 Once you are subjected to hemodialysis, then you will be a hemodialysis patient forever. This means that you have to be treated every now and then for the rest of your life. That's a very costly and difficult work to accept and comply with dialysis treatment. After the Sendai earthquake and tsunami incident, many kidney patients failed to attend dialysis. The roads across Sendai are just impassable. Add to it the millions of households that were left without electricity and clean water, including the lack of operational hospitals or clinics. Aside from the tsunami, nuclear and radiation accidents arose and residents near the affected areas were warned not to go out and told to stay indoors. We heard that more than 50 elderly patients lost their lives. Probably, you want to travel around the world, but because of dialysis problems, your dreams were cancelled. Yes, it is difficult to secure full dialysis treatment while travelling, as it requires plenty of good clean water, electricity, and proper clinic or hospital. Try the PYRO-ENERGEN therapy for at least 30 days before dialysis. You might be the lucky one who could live without any dialysis for a lifetime. If your kidney problem is at stage 3 or more, and the PYRO-ENERGEN therapy does not give you any good results at all after 30 days, then you have no other choice but to accept dialysis treatment. We hope that you will be the lucky one who can cheat dialysis. Most people are born with two kidneys, but it is possible to survive even if you have only one kidney. Worldwide, kidney transplants account for almost 69% of all solid organ transplants. Kidney diseases affect about one in ten people worldwide. Kidney diseases are silent killer. Patients may experience no symptoms until they reach kidney failure. People aged 50 years above are more commonly affected of kidney cancer.